The small car is something we now take for granted in most parts of the world. In Asia, they are commonplace, Europe, they are useful, however in North America, they seem to come and go with each new oil crisis. The small car is something very important. A form of transport, affordable to the common man, designed to to everything a big car can do, for only a fraction of the price. The small car was almost literally invented by the French with the Peugeot Bébé of 1905. It was very useful for early XXth century France, as most small towns still had narrow medieval streets. The small car was a great way to go where the horse could go, but where the bigger Bugattis or Delahayes could not. The French love small cars, and front wheel drive. The British too, with their Minis and Austin 7s. They liked to think they ruled this segment, but just like the British Empire, their rule may be have come to an end. Just look at the new New Mini. Not much small there, unless you are in the USA. The Japanese then took over, and more recently, the Koreans now have their vehicles on the market. They have existed for some time, but the reason I am mentioning them now, especially the Hyundai i10, is because they are actually very good, better even than the established players. 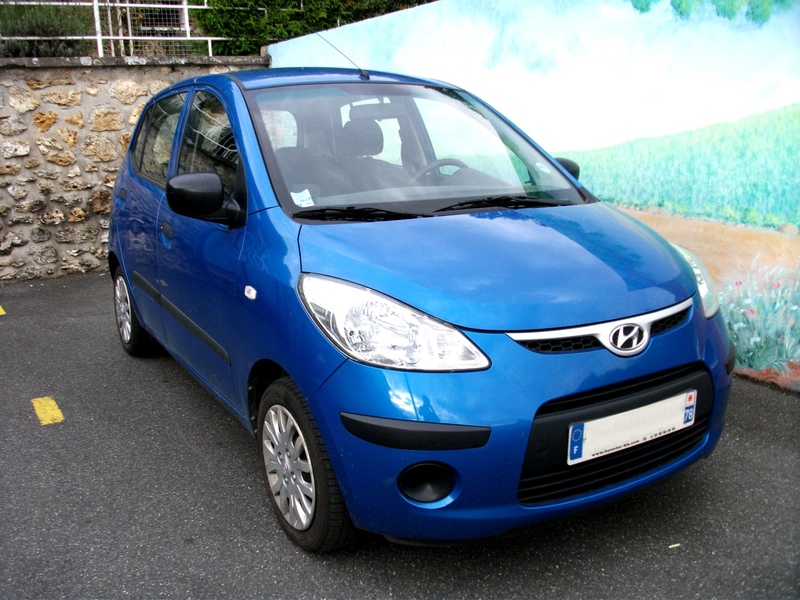 You may be wondering why I chose to write about the older 2008 Hyundai i10. Two reasons: Firstly, green thinking ruined the newer one. One of the main criticisms of the new Hyundai i10, is that the handling is really not very good, and overall refinement is down, partly due to the new low resistance small green tires. 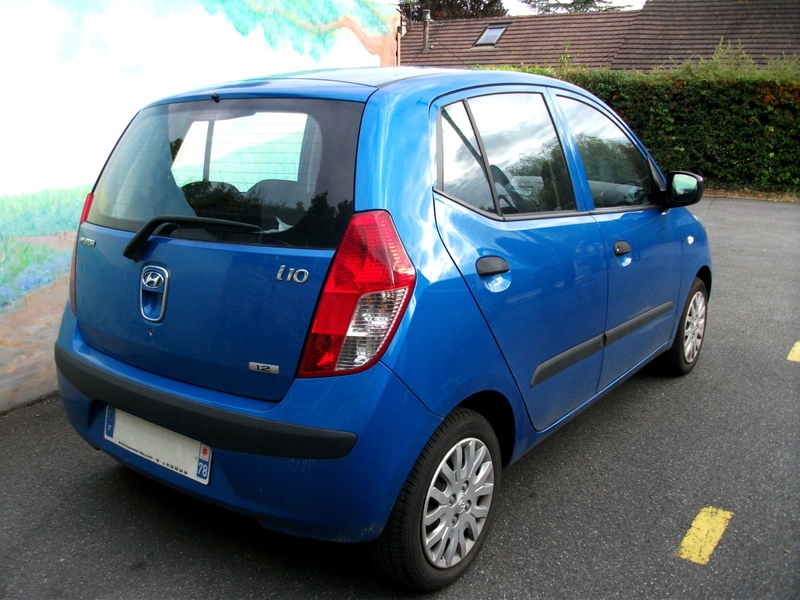 Yes, in order to save CO2 emissions, Hyundai essentially ruined the i10. The second reason, is that the original i10 was the first Korean car that could easily lay claim to being one of the best small cars on the market. And to add to that praise, you find it almost all over the world! Ford may be trying to sell you the fact that they are now making One Ford for One World, but the fact of the matter is, the Japanese and Koreans have been doing it before them, and are better at it. Anyway, back to the i10. The exterior does take a little getting used to, but then again, which small car doesn’t. The first thing you notice is how tall it is. The reason it is so tall, is because of the small footprint of the car. In order to give the inside the feel of being in a big car for such a small body, the height was raised so that once you sit down, you feel less cramped than the older small cars. It is useful, but slightly amusing. Feels like this car was made for Noddy. The big gaping mouth makes it feel as if it was an Anime, but overall, it does look good, bar the huge rear tail-lights. The point I love most, is that, just like the original Mini, the wheels are at each corner of the car. This promises to give it good handling. The i10 only comes as a 5 door, and the reason for this is the focus on practicality. Once inside, you can see why. This car was designed partly for Indian markets, and over there, the amount of people you can squeeze in a car is an unofficial selling point. It may be small, but this little i10 can easily fit four in great comfort, and even five, with some squeezing, which is impossible in a Twingo or Fiat 500 for example. Legroom is not the best in the back, but in the front, it feels just like a normal sized car. Visibility is also excellent (thanks to the high roof! ), making the car perfect for manoeuvring around town. But here’s the great part. We remember Hyundai’s of old being made of nasty plastics that would squeak and crack, with about as much design as a Tetra Pack. The i10 brought a change to that. The dashboard looks good, even if it is simple. The plastics, still hard, are well put together, and very pleasing to the eye. Compared to the Twingo, this car feels miles ahead in terms of quality. Overall it feels like it will last for a very long time. The seats may offer no bolstering, but then again, they are comfortable enough, and the gear-lever and steering wheel are well placed, nice and close together for quick shifting. Yes, you may mock, but it can feel like your driving a small rally car (bar the very high riding position). And this brings me neatly on to the dynamics of the car. Yes, it may be Korean and made in India, but you know what, it is fun to drive! The engine may be a small 1.2 litre (and that was the bigger option) developing 75 bhp, but it loves to rev and is very sprightly when you play with it. Zipping around town is fun, and even on normal roads it feels at ease. Past 5,000rpm it does run out of juice though, but it does have enough low-range torque to make quick dashes between traffic lights. The sound is nothing special, though it does sound better than your average econobox four-banger. Run past 3,000rpm and it does genuinely start to howl. I wonder what it would give with a better exhaust system (only out of curiosity!). Regarding handling, that is another surprise. A wheel at each corner makes for good road holding, and overall the i10 feels very agile. That said, there is considerable body-roll when you really push it, followed by lots of under-steer. Brakes are also pretty good, though nothing to write home of. The ride is comfortable enough, even if it does tend to bounce a bit on bumpy roads, and feels quite firm at times. Gear changes are quick and easy, maybe a little imprecise st speeds, but okay for the usual 1-2-3 shift around town. Steering is perfect around town, but seriously lacks feel for performance driving. Then again, it is not really what the car is made for. In the city, the i10 is the perfect car. It is agile, very quiet at l ow speeds and practical. The really surprising part is that it is equally able in between cities and even on highways. Sure, past 60mph, there is considerable engine and wind noise, but nothing unbearable. You could imagine going for a week-long holiday in this car, if you pack lightly enough to fit in the small boot. That is why I love the i10. The Koreans have learnt their lesson and produced an excellent car. It is much better than the Aygos and Twingos of this world. Too bad they ruined the later one with those silly tires. Oh, and the name is really annoying! 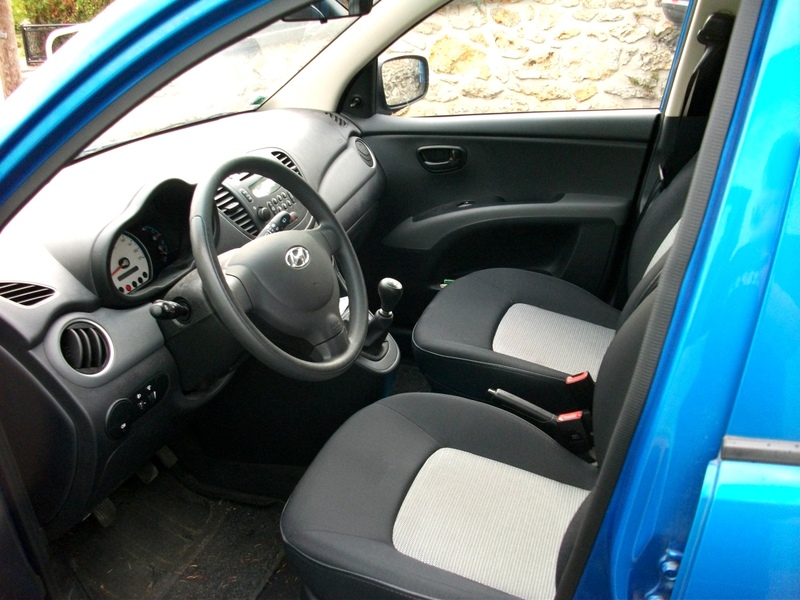 This entry was posted in Car reviews and tagged aygo, city, Ford, fun, hyundai, i10, mini, peugeot, practical, small car, twingo. Bookmark the permalink. 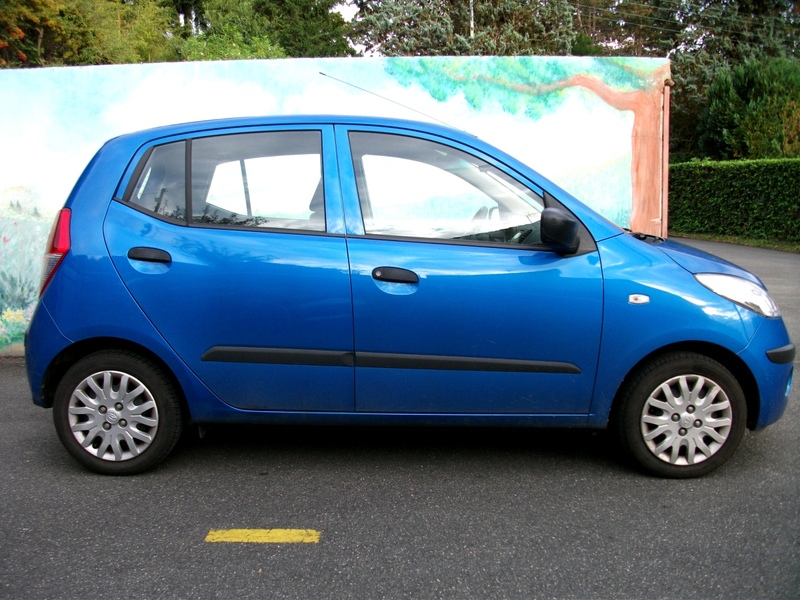 2 Responses to The old (2008) Hyundai i10, the ideal small car? Um, thank you? I don’t fully understand what you mean about a video though, as this review was entirely based on my experience with the car. Thanks for commenting though!